Multix All Purpose Commercial Alfoil is ideal for Hotels, Restaurants, Cafes and Commercial Catering. Size: 150m x 44cm wide. Food high in salt and/ or acid (eg. Lemon juice & tomato paste) may cause discolouration and holes in the aluminium foil. To prevent this from occurring, lightly coat the aluminium foil with cooking oil prior to use. Either side of the foil can be used. 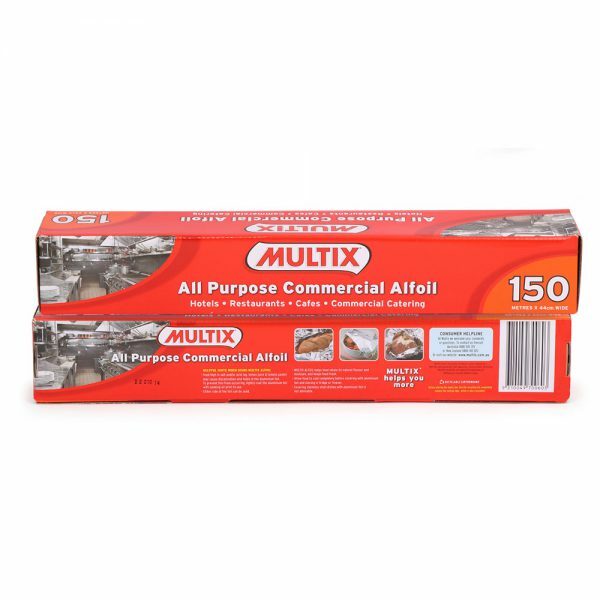 Multix Alfoil helps food retain its natural flavour and moisture, and keeps food fresh. 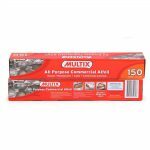 Allow food to cool completely before covering with aluminium foil and storing in fridge or freezer. Covering stainless steel dishes with aluminium foil is not advisable.